The July 31 close encounter between the two planets is the closest until around the time of the Martian opposition on September 15, 2035. During opposition, Mars and the sun are on directly opposite sides of Earth. From our perspective on our spinning world, Mars rises in the east just as the sun sets in the west. Then, after staying up in the sky the entire night, Mars sets in the west just as the sun rises in the east. Since Mars and the sun appear on opposite sides of the sky, we say that Mars is in "opposition." If Earth and Mars followed perfectly circular orbits, opposition would be as close as the two planets could get. By mid-August, Mars will become fainter as Mars and Earth travel farther away from each other in their orbits around the Sun. 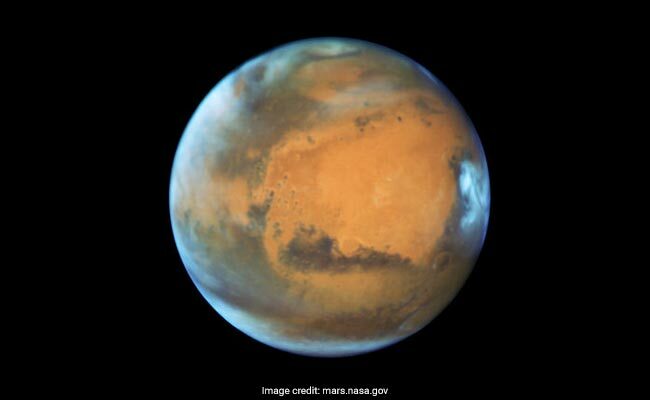 Mars has been the brightest from about July 7 and will continue to be so till September 7. It is shining brighter than Jupiter, which generally shines the brightest in the sky after Venus.